A bewildering array of telematics equipment, often with broadly similar functions, is available to operators and even directors of companies selling the technology accept it is a confusing market place for the customer. Derek Beevor, MD of Road Tech observes that all telematics systems have the ‘dot on a map showing where their vehicle is, that’s not new, that’s not exciting anymore’. He believes one of the main drivers behind telematics now is being able to reduce fuel consumption and says the best way to do this is to connect to the CANbus via the main gateway of the FMS Port, to gain access to information on the PCV’s onboard systems control unit. The company then uses an algorithm to work out fuel consumption. Derek said the FMS Port acts as a ‘firewall’ and the information it allows out is extremely limited. 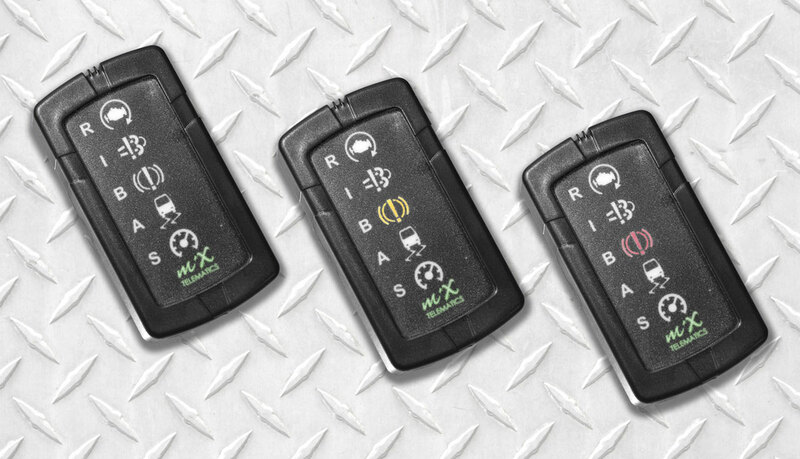 What sets Road Tech’s Falcon telematics system apart is that it uses a device from Dutch vehicle data specialists, Squarrel, which clips onto wires leading out of the CANbus. This detects the exact amount of fuel pumped, giving what Derek describes as the most accurate data available. Also setting Falcon apart is the way in which it remotely collects tachograph data. Other systems, according to Derek, only record mode changes in the tachograph, whilst Road Tech’s product makes the 29 digital security ‘handshakes’ required to get through to the encrypted information stored on the tacho’. This provides more accurate information regarding driving times and rest periods. To achieve this, the onboard computer fitted has to be very fast. Road Tech’s Falcon can track fleets throughout Europe, providing their whereabouts via Microsoft Bing maps. It reports in real time and notifies any instances of harsh braking, idling, hard turning or over acceleration. It is available in three standards with varying levels of capability and can also be integrated with the company’s Tachomaster tachograph analysis software. MiX Telematics has adopted a new telematics strategy for bus operators, designed to enhance safety, efficiency and environmental performance with a range encompassing customisable and bespoke telematics based options. 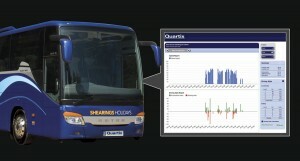 In addition to the central driver and vehicle monitoring functionality of the MiX Telematics fleet management solution, elements which can be incorporated into the new strategic system include: a four-axis accelerometer, passenger counting, real time engineering data, alcolock units, real time passenger information data provision, tyre pressure monitoring and bespoke reports. It can also feature MiX’s enhanced RIBAS dashboard mounted traffic light style driver performance feedback display, as well as MiX Rovi, an in-cab telematics solution combining a range of functionality into a single dashboard or windscreen mounted unit. MiX Rovi offers driving style feedback, provided by way of RIBAS alerts and customised data inputs allowing operation specific functions. One of Quartix’s most popular packages is InfoPlus, which includes real time vehicle tracking made possible via a matchbox sized tracking device installed on each vehicle. Based online using Google Maps, it requires no installation of software. It can be configured so that if a vehicle drives out of a ‘geo-fenced’ zone, then an alert text message is issued. A day’s journey made on tracked vehicles can be replayed. Daily or weekly timesheets are viewable on the web at any time. Customer service is another strong point Claire mentions, ‘it is something we pride ourselves in,’ she said. Being ‘bombarded by information’ is something its packages try to avoid. The e-mail reports it sends out can be tailored to individual needs. Claire finds a lot of customers take in the most relevant results and as they get used to the system, start to analyse even more data. It is possible for results generated by the solution to be extracted and integrated into other systems, tying it in with a wider fleet management solution. Improving communication is an important part of telematics and it is something CMS SupaTrak has worked on with its in-cab communication device. It is designed to help manage driver behaviour and enable two-way messaging between back office staff and crews. Its second generation Safer Driving Assistant (SDA 2) provides drivers with real time feedback on their driving style. By displaying alerts on screen if a driver is performing inefficiently, the solution can help reduce fuel costs, lower carbon emissions and promote safer driving. CMS SupaTrak and Tachodisc have combined their expertise to create TachoMax, an integrated compliance system for managing tachograph analysis, verified remote downloading, driver behaviour and vehicle tracking. The system integrates Tachodisc’s analysis software with CMS SupaTrak’s telematics system. This enables users to combine the management of driver’s hours with tracking, as well as use vehicle telematics to remotely download verified driver and vehicle data into Tachodisc’s compliance software for analysis and secure storage in its original format. Ctrack has recently teamed up with Applied Driving Techniques (ADT), integrating its advanced vehicle tracking systems with ADT’s fleet compliance solution. The combined system allows real time driver behaviour data to be used to better understand, manage and minimise risks, thereby lowering accident rates and reducing fleet costs. The Ctrack system enables companies to quickly and easily compare driving performance, monitoring a range of exceptions including harsh acceleration, braking, cornering and travelling too quickly over speed humps, as well as speeding and excess idling. The ADT compliance solution uses data sources including automated licence checks, online risk assessments, maintenance audits and claims data to identify risk and recommend the necessary course of action. To date, fleet operators have only been able to act retrospectively using this information, but with the integration of the Ctrack system it will be possible to extract real time driver performance data to highlight areas of improvement. Ctrack also has a driver league table reporting system for comparing driving performance by individual and groups of employees. Employees are placed in the green, yellow or red band for each exception based on their driving performance, with an overall score calculated. 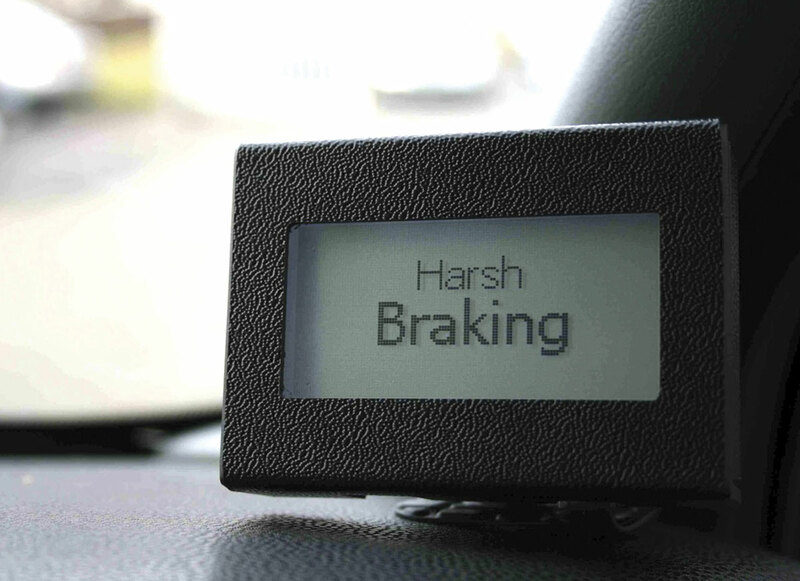 Additionally, the company has in-cab driver feedback tools, such as its Driver Behaviour Indicator (DBI), which alert drivers to any infringements when on the road by displaying a series of traffic light coloured warning lights. According to the company, the better driving this device encourages leads to cost savings of up to 20%. Telematics is not all about fuel savings, it can also be used to recover stolen assets. One company specialising in this is Tracker Network (UK) Ltd, which has been acquired by Lysanda Ltd, a provider of automotive telematics and infomatics solutions. The combined companies intend to establish Tantalum Corporation Ltd, with approximately £20m in revenues and some 500,000 telematics installations throughout Europe. It will combine Lysanda’s B2B customer base alongside Tracker’s long standing B2C sales reach. An area of telematics GreenRoad is particularly prominent in is driver behaviour monitoring, with all the fuel savings and increased safety this brings. Its in-cab system features a ‘traffic light’ display, with the red light denoting dangerous and/or inefficient driving manoeuvres and amber showing driving verging on unsafe/inefficient, whilst green means good driving is being practiced. GreenRoad telematics can also be used to help manage vehicle health, monitor fuel consumption and track vehicles. With the latter, it uses 2D or 3D mapping and issues alerts when vehicle use policies are violated or operational conditions need urgent attention. Landmarks and geo-fences can be added, with warnings given when a vehicle leaves these areas. A series of reports are produced, including activity detail, vehicle mpg, drive time summaries and hours violations. According to the company, the system helps cut crashes by 60%, maintenance by 20% and insurance by 15%. Telematics is not all about the driver, as Actia has demonstrated with systems covering a wide range of vehicle data types, including fuel consumption, vehicle health, CO2 emissions and CCTV system status, as well as driver behaviour. Its Automatic Passenger Counting solution is an element of its Eco-Fleet telematics solution. Eco-Fleet supports driver improvement and vehicle maintenance and offers features including: full remote diagnostics (Multi-AID Remote) and Automatic Passenger Counting. Actia claims no other telematics package offers this combination of solutions. 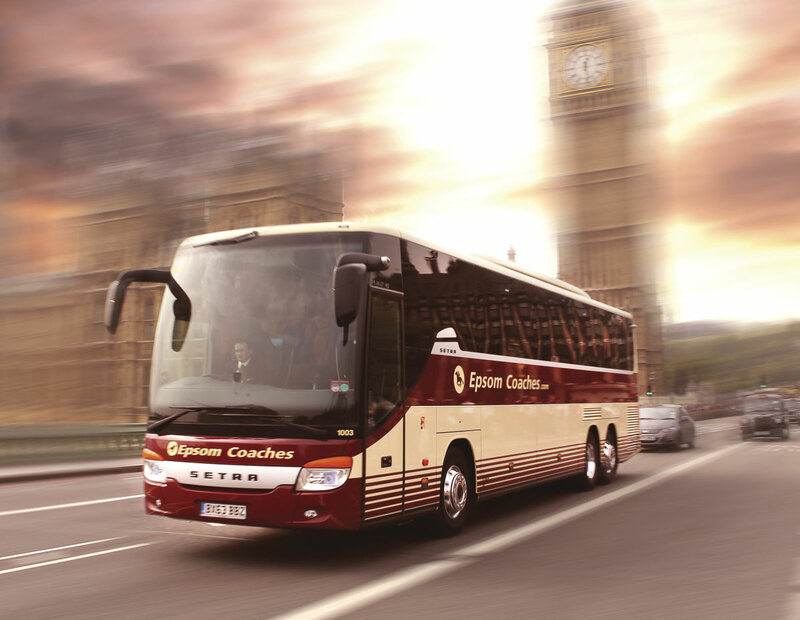 Actia’s Automatic Passenger Counting system counts the number of passengers on and off the bus, as well as where they boarded and alighted, enabling the distance travelled per passenger to be measured. 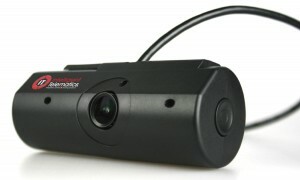 It uses two cameras to ‘see’ in 3D, enabling it to recognise heads, for better accuracy. 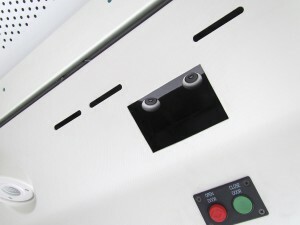 The system can also be used to validate ticket machine sales. The technology specialist claims it is 98% accurate. It allows users to assess passenger distribution across the fleet throughout the day, with the data measured in conjunction with fuel consumption, CO2 emissions and GPS location. The information is sent remotely via Actia’s telematics unit to an internet server. This information is accessible through Eco-Fleet telematics reports. It works by a stereo camera unit mounted above each door and only counts when doors open, reading movement in the doorway. The German PTV Group has recently expanded into the UK. Its Birmingham branch offers transport and logistics planning software, as well as real time optimisation solutions and services. 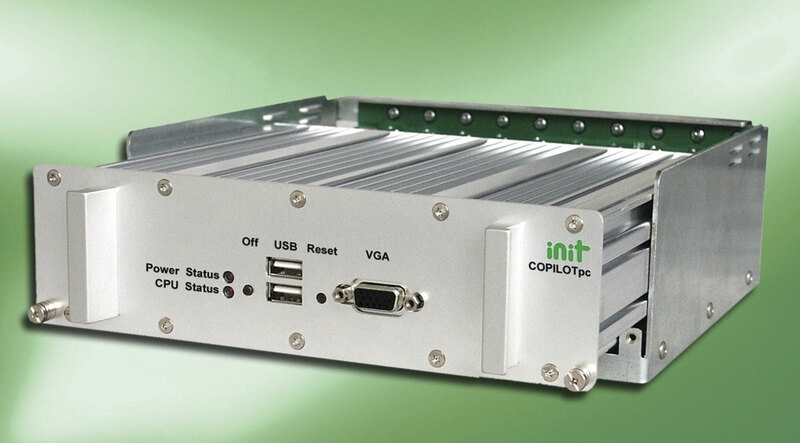 This includes the PTV xServer, comprising of software components with logistical and geographical functions designed to easily and seamlessly integrate into telematics systems and route optimising software. Its software is modular, ensuring customers only have to specify what they require. The RAC has chosen these components for its telematics application. 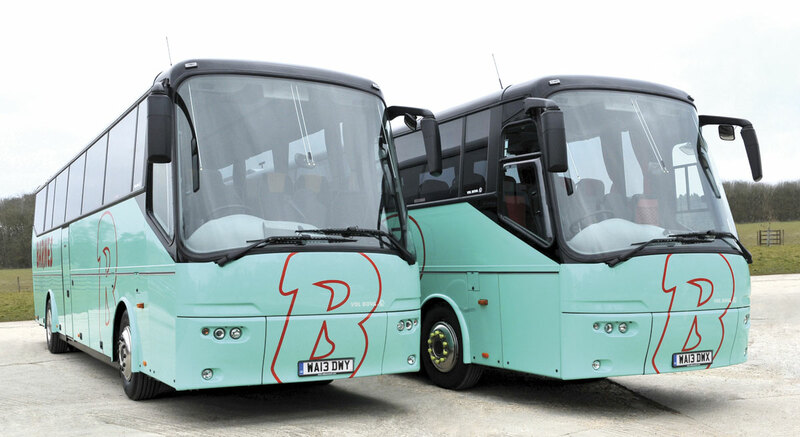 One of PTV Group’s latest and most popular products is its Truck Parking Europe app, which despite the name is applicable to coach drivers. 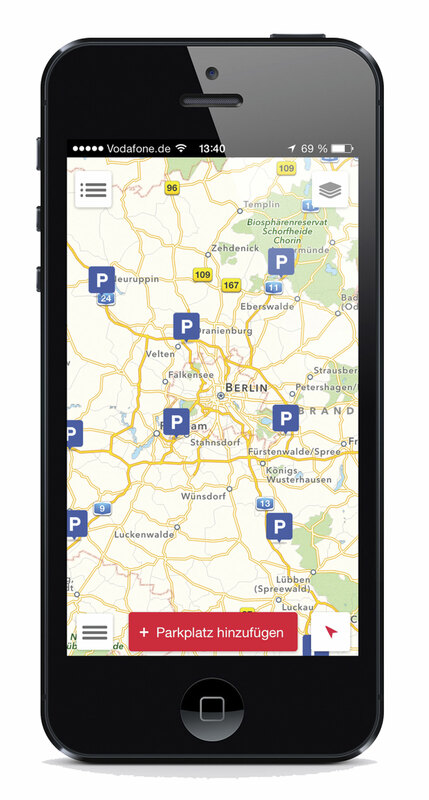 It provides the location of over 10,000 parking options throughout Europe. The free app for iOS and Android has attracted 4,500 drivers to date and has had over 600 additional new parking spaces added by users since its launch in December. Another concern amongst fleet managers was ‘peace of mind’. Charles Robinson, owner of Robinson of Kimbolton, said, ‘We’ve had instances when one of our coaches has been cited as being in an accident or causing damage. By retrieving time and location data from the system I was able to prove that in fact it was not our company’s vehicle that was involved.’ He is also able to prove what time a coach left a pick-up point, when customers allege premature departure. Vix provides entire transport solutions, not just telematics systems. One of the many functions it can implement is vehicle tracking, which plays a key part in its real time passenger information (RTPI) system. The Vix TP5700, its flagship ticketing machine, has GPS capabilities for tracking the vehicle it is fitted to, which means a separate box for automatic vehicle location is not required. To process and analyse the data the ticketing device collects, the company’s Horizon software can be used in the back office. 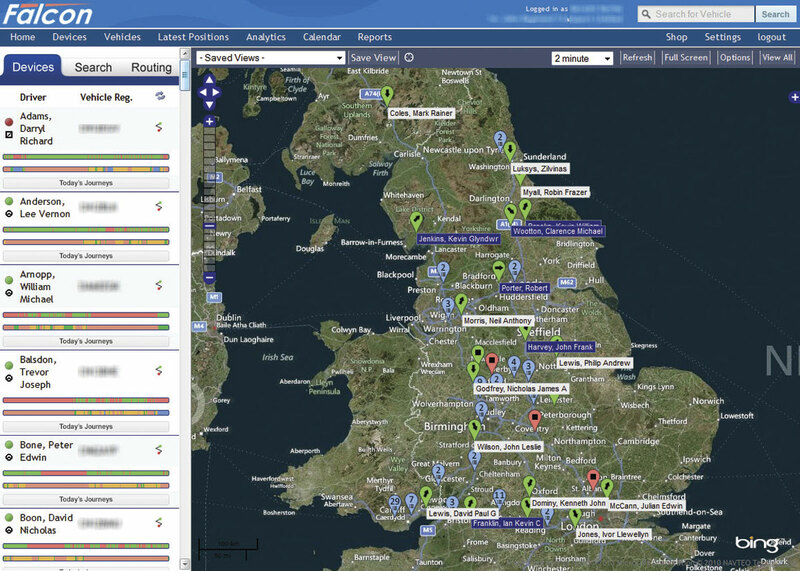 Using colour coded tables and maps, it displays the real time whereabouts and status of vehicles and provides details on how a service has performed historically. 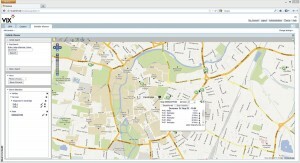 Horizon can be combined with Vix’s BusNet system, its modular RTPI suite. Vix has the technology to build a telematics system to suit individual operator’s needs. 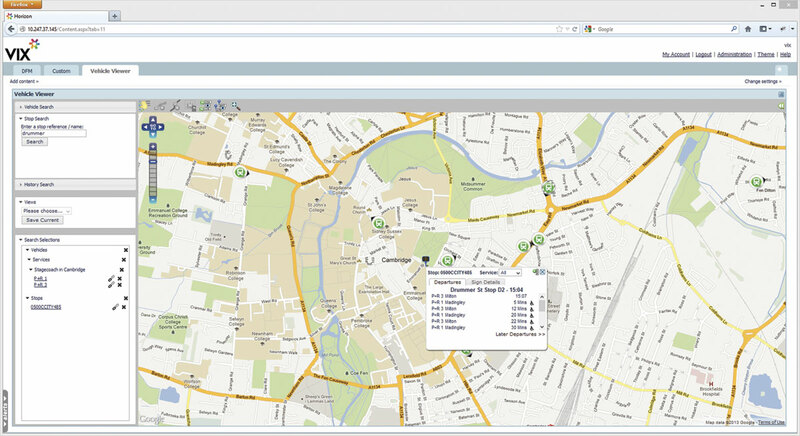 A good example of telematics in action is at Nottingham City Transport (NCT). The operator has INIT’s automatic vehicle location control (AVLC) and real time passenger information (RTPI) systems, which have recently had their functionality boosted with the integration of ticketing, scheduling and driver assignment modules. INIT describes this integration as ‘seamless’. NCT originally rolled out INIT’s solutions during its participation in the Leicester/East Midlands RTPI project and has since widely expanded on their use. 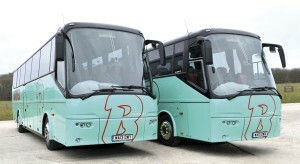 Its buses are equipped with INIT’s PROXmobil2 smartcard validators linked to the COPILOTpc onboard computer which provide fast transaction times for passengers. Sales data recorded during the day is automatically uploaded via WLAN to INIT’s clearing and ticket management system, MOBILEvario. Operational data, which is already being handled by INIT’s multi-client AVLC and RTPI system, MOBILE-ITCS, and the evaluation tool, MOBILEstatistics, are being passed onto the planning software, MOBILE-PLAN. This generates what INIT describes as a ‘further synergic effect’, feeding back real time performance data into the planning cycle. Equipped with sophisticated optimisation algorithms, MOBILE-PLAN is designed to provide fast and automated timetable/duty planning. Telematics can help create a safer operation. Intelligent Telematics has launched what it believes is the most sophisticated camera solution currently available to help operators reduce costs, enhance safety and protect against fraudulent insurance claims. The IT 1000 combines video, telematics and 3/4G technologies to capture and transmit footage of accidents and other harsh driving events in real time. The business claims it is 16 times more powerful than existing solutions in the marketplace. Unlike other vehicle cameras that only record to an SD card, the IT 1000 transmits footage via a secure 3/4G private network to a web based interface with real time e-mail and SMS alerts, so a triggered event can be viewed within minutes of it occurring. This enables operators to respond quickly to issues and report claims, while insurers receive first notification of loss to minimise any costs. To calculate the most accurate impact speed, the camera captures GPS data ten times per second, compared to the industry standard of once per second. The internal 3-Axis G Force sensor featuring auto calibration enables visibility of driving styles and behaviour. IT 1000 has been developed in partnership with camera specialist Trajet and the manufacturer holds ISO 9001:2008 certification. 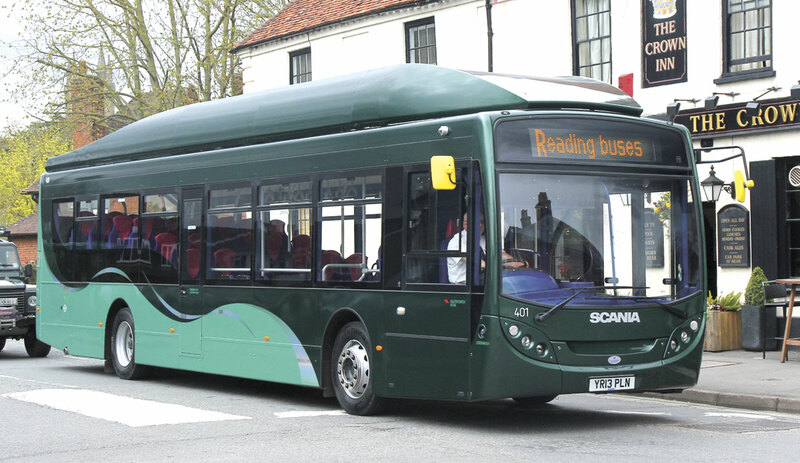 Nimbus Journey Information recently provided Reading Buses with its on-bus information system in a five year deal, continuing the relationship built during the delivery of an RTPI system for the operator. Nimbus is providing the company’s Open Data Service including next stop information, live data on bus locations through web feeds and development of the ‘my bus Reading’ Android and i-Phone apps. There will also be more work to develop and roll out live bus departure information through QR codes to more stop locations and refresh and update the cutting edge i-media system. Nimbus’s system collects vehicle data from its FMS port or CANbus using an ASTRA AT110 unit installed without breaking wires. 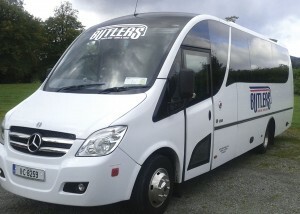 This preserves bus integrity and the vehicle warranty. It is then transmitted over GPRS direct into the company’s Open Data Service (on a server hosted virtually), which processes it and allows real time and historic reporting of the data. The richness depends on the data available on the bus. It includes vehicle engineering alerts and driver/route/bus centric data. Reports are made available over the web for drivers and supervisors and the system provides engineering alerts directly to email inboxes. 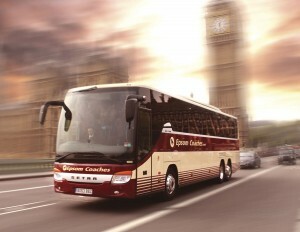 Something Nimbus claims is unique about its system is its ability to amalgamate various datasets so that the focus is not entirely on the driver, but also on problem routes and bus groups. Nimbus will install the equipment on the buses, validate and integrate the data, develop reports with various staff and work with driver representatives to develop metrics and reports that work for them. It will also work with team leaders to explain how they can use the information on a day to day basis. TomTom’s transport sector arm, TomTom Business Solutions, provides the ecoPLUS onboard diagnostic system, which uses data it claims comes, ‘directly from a vehicle’s engine’ on fuel consumption, CO2 emissions, RPM and idling. This is relayed to the back office in real time, allowing a driver’s performance to be analysed at any point on their journey. The company’s WEBFLEET online fleet management platform then enables this data to be measured against predefined targets. This reveals uneconomical driving practices through detailed reports that provide insight into elements such as carbon footprint and fuel efficiency. Tools such as TomTom’s OptiDrive indicator allow driver profiles to be built, including elements such as speeding, driving events, idling and fuel consumption. The business has the in-cab Active Driver Feedback system, which integrates into the satellite navigation system to provide information to the driver on their performance. As an additional part of WEBFLEET, TomTom has recently launched a road toll reporting functionality for its fleet management platform, which provides a real time breakdown of the toll costs incurred for each trip. It accounts for all applicable national tolls in France, Germany, Austria and Slovakia. 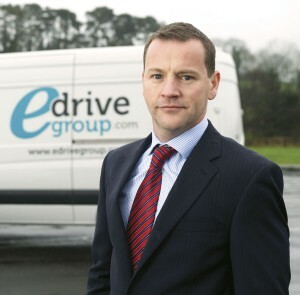 eDrive Fleet provides independent advice on building tailored telematics solutions aimed at maximising investment. To promote better driver behaviour that minimises fuel consumption and meets compliance, it can facilitate the remote downloading, archiving and retrieval of tachograph information to enforce compulsory rest periods and for spot checks. The company can provide a system with real time alerts, which can be set up to ensure drivers avoid detrimental habits such as tailgating or harsh breaking. As well as supporting compliance and safety, eDrive Fleet can advise, customise and install a range of products and systems that can improve day to day performance of vehicles. By integrating devices from collision avoidance systems through to onboard telematics, it aims to minimise wear and tear, reduce the number of accidents and guard against ‘crash for cash’ scams. The company aims to provide a complete one stop service, from advising on products and fleet branding through to full nationwide installation.